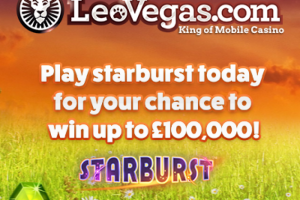 LeoVegas has rolled out its promotions for March and this time they are running a fabulous promo celebrating NetEnt’s popular game titled Starburst. This March, it’s the Starburst Festival and it is one of the biggest giveaways to date. Players will get to win lots more as well as having fun whilst playing their favorite slot game. Win more at LeoVegas as we celebrate the Starburst Festival! The promotion kick-off as from the 4th of March and this will see all depositing players getting something awesome. By simply making a deposits of more than €7 and wagering on Starburst, you will automatically receive a ticket for the random draw. All you have to do is make a deposit, wager on Starburst and win tickets. It’s the Free Spin rocket at LeoVegas! During the promo, when you make a deposit of €7 or more and wager on Starburst, you will get 3 free spins on Starburst every day until the end of the promo. Isn’t this awesome? The promotion will run until the 3rd of April 2016. Players will be strapped to the Free Spin rocket and the daily free spins are guaranteed. Simply play Starburst and have fun. Players will be floating in space and you will get to see freebies floating around the universe as you enjoy playing your favorite slot game titled Starburst. Simply spin on the Starburst reels and the freebies will float towards your way. Brighten up the lights by playing Starburst at LeoVegas this month! As you gradually wager on Starburst, LeoVegas will be giving away lots of goodies to its players who make it top in the leader board. The casino will be giving away cash prizes and iPhones and Apple Watches. By playing at LeoVegas you will enjoy taking advantage of its awesome offers and every day there is always something for grabs. 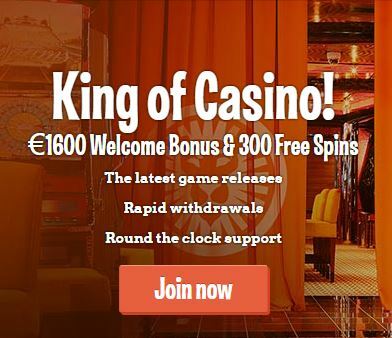 To know more about this casino, feel free to read LeoVegas Review here! NetEntCasinoReviews is the perfect site to catch all your latest news feeds as well as being informed about the latest promos taking place at various NetEnt casinos. You can also follow us via Twitter to catch all the latest NetEnt casino newsfeeds today!